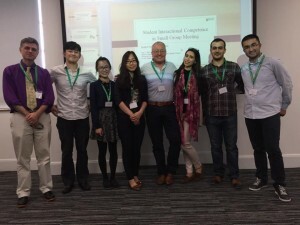 Earlier this month, the ALC team made a big impact at the BAAL Annual Meeting 2015 in Aston University. Three staff members and eight research students presented, with even more of our students in attendance. First up was a colloquium by Steve Walsh and his NUCASE project research team (more details of the NUCASE project will be shared in a future blog post!). 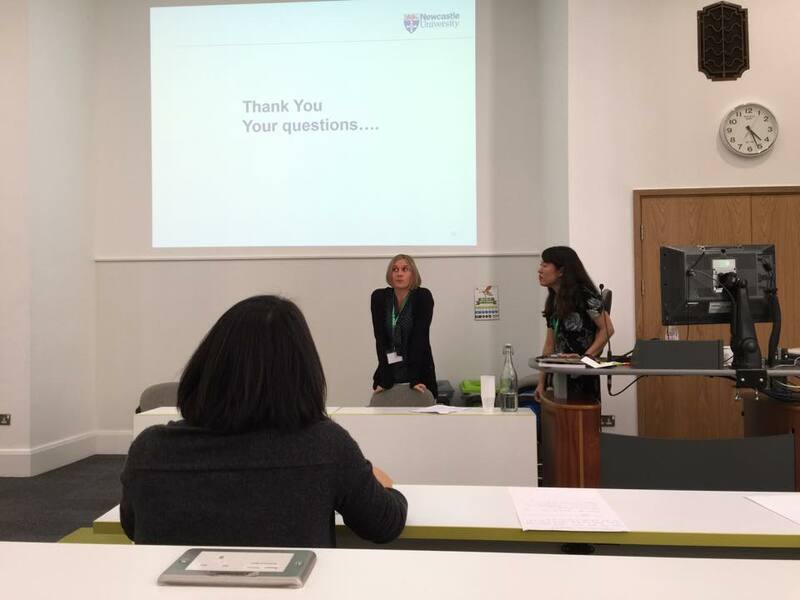 The colloquium, ‘Characterising interactional competence in higher education small group talk’, featured presentations from Steve & Gokhan Kaya (PhD student, Hacettepe University, Turkey) and research students Khadija El-Wakai, Cihat Atar, Michael Grez & Yun Pan, and Qi Chen & Kazuki Hata. The second day of the conference saw two more papers given by ALC students; Rui Zhang presented on her PhD research, ‘Bridging the gap: the constructs of sociocultural theory and the microgenesis of learners’ interactional competence of L2 Chinese’, while Alina Schartner & Yoonjoo Cho reported on their project on ‘Perceptions of ‘internationalisation at home’ and ‘global citizenship’ among higher education students and staff‘. 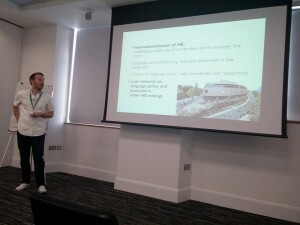 On the final day, Adam Brandt & Yusuke Arano (PhD student, Chiba University, Japan) presented their paper on ‘Language choice in a higher education setting outside of the classroom’, which linked to the previous ALC papers by addressing internationalisation of higher education, and interactions in university contexts. The conference was also attended by many friends and former colleagues of the ALC team, and many lively discussions were had!